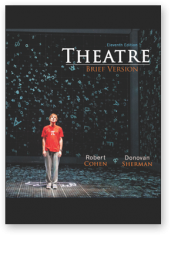 Robert Cohen draws on fifty years of acting, directing and teaching experience in order to illustrate how the world’s great theatre artists combine collaboration with leadership at all levels, from a production’s conception to its final performance. The book provides the techniques, exercises and language that promote collaborative skills. Working collaboratively is vital to successful theatre making. This readable and practical guide, written by leading author Robert Cohen, provides advice on how successful collaboration can be achieved. Exploring collaboration between a range of theatre artists from Directors to Designers, from Actors to Dramaturgs, Cohen draws on a wide-range of historical context and examples from contemporary professional practice. Part One is introductory, providing a general overview of the relationship of collaboration and leadership in the theatre and the first rule of theatrical collaboration. Part Two divides theatrical collaboration into four overlapping stages and discusses the means of achieving effective communication at every level. With activities for classroom use, this book will be essential reading for Theatre students and professionals. “What does it take to become a consummate, successful professional theatre artist today? It may well take, as prominent theater educator, director and author Robert Cohen explains, a balance between collaboration and leadership. 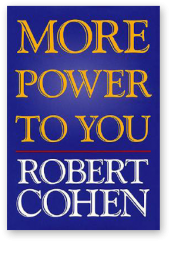 With experience from 50 years of interplay among students and professionals, Cohen brings real-world success stories to the discussion, providing practical advice to actors, directors, playwrights, producers, designers, and the like. The author divides the book into three parts: in the first he looks at theatre’s evolution from family business to a created family and how ensemble and hierarchy can work together; in the second he breaks the theatre process into four stages (preparation, planning, production, presenting) and examines his subject in each of these contexts; he ends with tones of communication, looking at positive body language and verbal responses. His reassuring conclusion: leadership does not stifle collaboration, it guides it, and that collaboration does not undermine leadership, it enhances it. Summing up: Essential. **** [highest ranking] —Julie Artman, Choice: Current Reviews for Academic Libraries, July 2011. 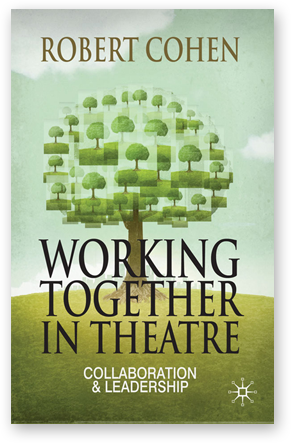 “Working Together in Theatre, Robert Cohen’s newest book, is geared toward working professionals in theatre and those who hope to pursue careers in the field. Cohen argues that collaboration is fundamentally about how well you work with other people, and he frames it as an essential job skill for an aspiring theatre artist. Resisting the assumption that collaboration always involves consensus, Cohen ties collaboration tightly to the idea of leadership: “Collaboration is the horizontal glue that holds an ensemble together and makes the work collective, mutually supportive, and the composite of many minds, bodies, and imaginations. Leadership is the vertical glue that gives the ensemble a direction, a focus, a goal, and a set of deadlines.” Written in a conversational tone and easily accessible to theatre students as well as to those already working in professional theatres, the book is likely to be most handy for those seeking practical, real-world advice about how to communicate with members of the creative team as they navigate a career in professional theatre.” —Claire Canavan, Theatre Topics (edited), September 2011.